The apartment consists of a living room, a dining room, 2 bedrooms, a full function kitchen, a spare utility room and a terrace. The whole area of apartment is of 75 m2 + terrace 25m2. The apartment is located in the inner building, and there is a parking area where we offer a FREE PARKING PLACE where you can leave your car safely. Each room has a window which gives an apartment long daily light. Free Wi-Fi is available throughout the flat together with air condition and central heating. As OPTIOANAL service we offer SAUNA - it costs 30,00 euro per day. I want my guests to feel as home so I provide you with Wi-Fi, basketball ball, bicycle, for business people you have printer with scanner, free coffee and for more relax time there is an aquarium with tropical fish in the living room. Any time when you come you are welcome. We're available 24/7 trough phone or email and we'll gladly answer to all your questions! I am looking forward to meet you and to be your host. You can be sure that you will enjoy your stay in my home tome and experience a full hospitably of Croatians. We have free parking and apartment is in inner building so you will have perfect peace. We have big aquarium and perfect terrace. Our rooms are big and kitchen is fully equipped. As well we have spa area with sauna which is at your disposial. The apartment ia very well located and you literally can walk everywhere. The apt itself is comfortable, has an amazingly upgraded bathroom with a fantastic shower and great lighting. The master bedroom is large, comfortable and bright. The other bedroom is just okay but good enough for sleeping. That said, the rest of the apartment is very standard with the kitchen needing an upgrade as well as the furnishing in the dining and living room. Fantastic location and great host! Very clean, easy contact & entry. Great location and parking. I would definitely stay here again. We loved this apartment and only wish we could stay longer! It was our pleasure to have you :)!! Very welcoming and accommodating host. 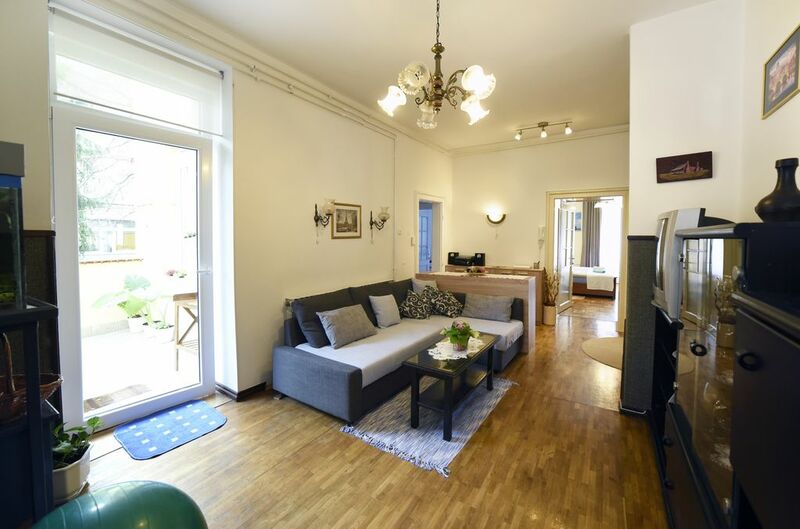 Spacious apartment in the center with a comfortable beds, nice bathroom and beautiful balcony. We loved it. We are in the middle of the city Zagren and everything is in walking distance.